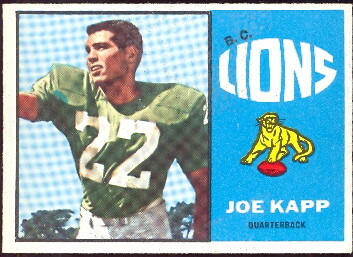 1963 Jackie Parker DAVE'S PRESENTS CFL FOOTBALL CARDS FROM THE 1950'S to the 1970'S. We carry the cards from 1958 Through 1972 and we have some inserts as well. Some are listed here, but we have some O-Pee-Chee Push-outs and some Pin-ups that are not listed you can ask about. 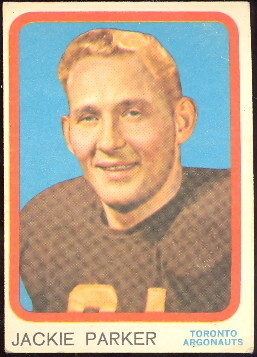 Topps printed the Canadian Football League cards up until 1965, and then starting in 1968 O-Pee-Chee, a division of Topps started printing them as they did in Hockey as well. You will find links below on this page to the sections where the cards are listed and you can view our inventory and order there. You use the thumbnail images below to link to the pages for the different issues that you want to see.